Marveling the Magic of Disney Cruise Lines! Even though Disney announced a few port changes to accomodate travel during storm recovery, The Marvel Day at Sea will still bring the Magic! Hawkeye will be the latest Super Hero to encounter this voyage! 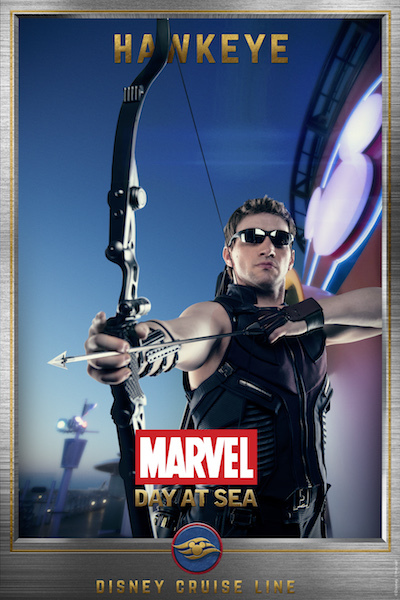 Super Heroes will be assembling for Marvel Day at Sea, premiering on select 7 and 8 night Disney Cruise Lines sailing from New York this fall, and returning on select 5 night Western Caribbean cruises from Miami in early 2018. CaribbeanDays can set your sails on this adventure!